Here are ten celebrated stories of contemporary Alaska, a full-color, no-holds-barred portrayal of life in the Great Land. ALASKANS paints a series of unforgettable portraits of Alaskans in all walks of life. A firefighter confronts his mixed identity as a wildfire rages; a teenager discovers one of the perils of cannery work; friends hunt for happiness at the top of the world; rivals meet over the grave of the man they loved. Spirited, wide-ranging, by turns tender and blunt, written in a lean and vigorous prose, the selection includes Tanyo Ravicz's classic novella "A Fox in May," in which Jed Hanson, a boy on the cusp of manhood, becomes immersed in the terrors and beauties of the natural world. 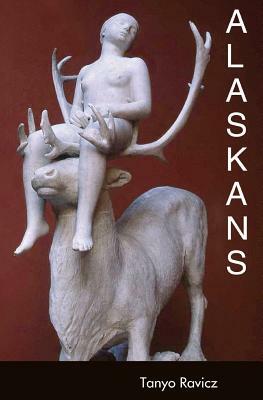 "Part of a true literature of Alaska. Embraces the vast land to include firefighters, fishermen, quirky old-timers, startlingly real Natives, and eager cheechakos, male and female, who bring to this demanding, dream-filled world a memorable energy and a hunger for authenticity. Ravicz's writing whispers, sings, and howls--about colliding passions, unforgiving realities, hard-won success, enduring love, and never-predictable joy. These stories tell lasting truths about our lives." --Jean Anderson, author of In Extremis and Other Alaskan Stories. Tanyo Ravicz is the award-winning author of A MAN OF HIS VILLAGE and RING OF FIRE. After attending Harvard University, he settled in Alaska for many years, and regularly returns to his Alaska homestead. He currently lives in California. Visit his website at www.tanyo.net. "Capture[s] this state in a way few writers seem capable." "Storytelling at its finest ... a savoury feast for the senses." "Raw, violent, sad and sometimes funny ... Ravicz does a fine job of presenting the human side of living in the wilderness ... I would wholeheartedly recommend it." "Part of a true literature of Alaska ... These stories tell lasting truths about our lives."